Lovely very clean apartment. Staff were very helpful and welcoming. 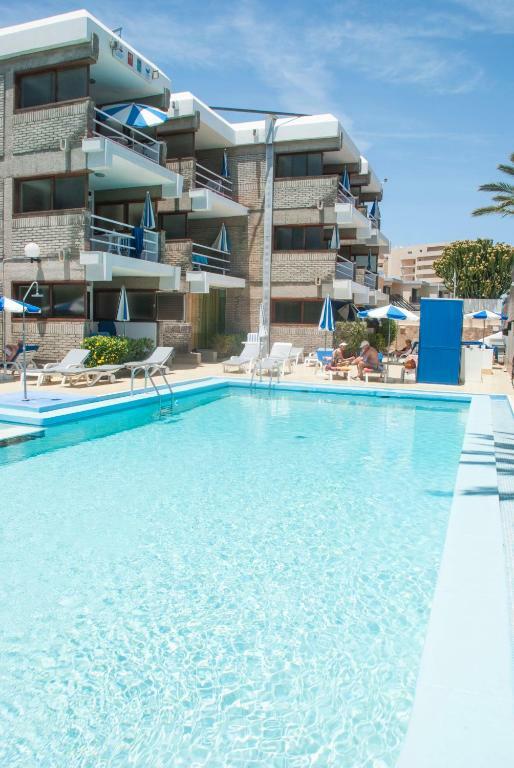 Great location next to the beach with shops and places to eat very close. Would very much recommend. Very well equipped kitchen, nice seaview, warm pool, bicycles, helpful and nice staff. Comfy beds, quiet location (sea breeze), wi-fi signal good (very good on the balcony). We like the location, cleanliness and friendly staff. The host was super useful and recommended us good restaurants and things to do nearby. Additionally, we were allowed to do a late check-out on Sunday at no extra cost, which made our last day a lot easier. I travelled on my own on a short break & the first thing to note, was the friendliness & warmth of the hostess. She was fantastic! The apartment block is safe & secure, with shops a 5-10 minute stroll away. The apartment itself was spotless, with a private balcony overlooking the beach. The fresh bread delivered each morning was an added bonus! Large comfortable apartment with pool view. Nice patio area and a separate back shaded balcony. Hostess was very nice and helpful. Speaks 4 languages. She Spent considerable time with WiFi provider trying to restore service. Also contacted airlines for me so I could sort out a booking issue. A big thanks! 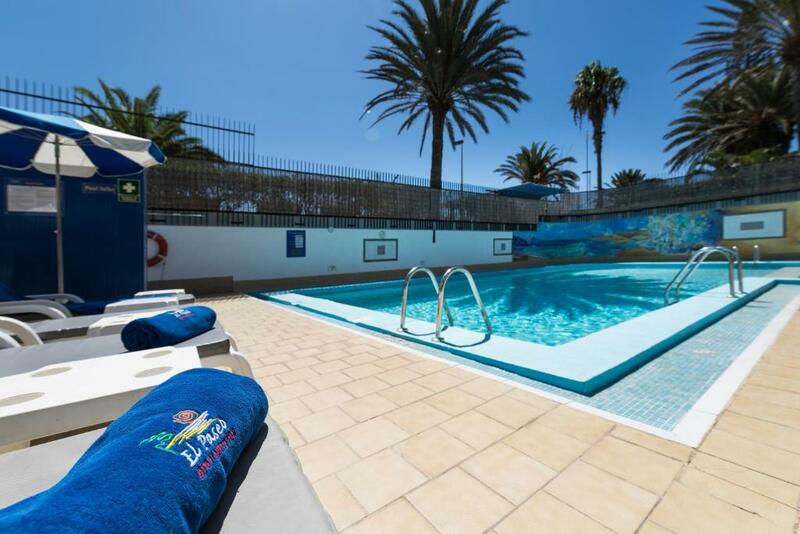 Excellent location near the beach as well as close to a supermarket. Very popular with German visitors. Lock in a great price for Apartamentos El Paseo – rated 9.4 by recent guests! 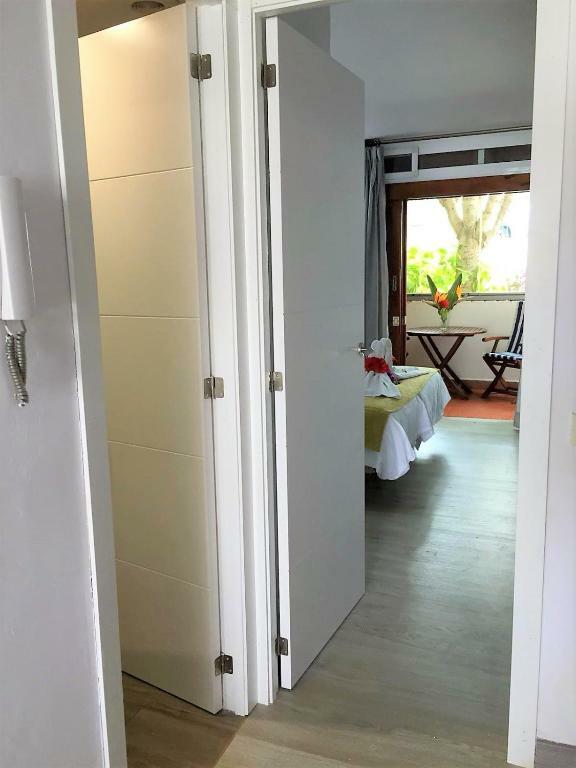 Apartamentos El Paseo This rating is a reflection of how the property compares to the industry standard when it comes to price, facilities and services available. It's based on a self-evaluation by the property. Use this rating to help choose your stay! 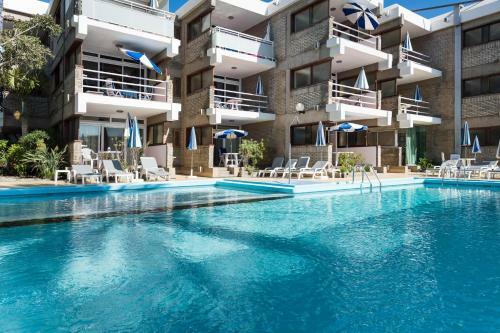 One of our top picks in Playa del Ingles.This small, family-friendly apartment complex overlooks Playa del Inglés beach and the sand dunes of Maspalomas, 650 feet away on Gran Canarias south coast. Free WiFi is provided. The environmentally friendly Apartamentos El Paseo are set beside their own outdoor swimming pool. It features a peaceful setting overlooking the Atlantic Ocean, yet is located just 800 feet from a range of shops, bars and golf courses. A range of water sports are also available in the local area. These apartments are ideal for a family break in the year-round sunshine of the Canary Islands. Each one opens onto 2 private balconies, allowing you to enjoy the sun in privacy. Check out the special rates for longer stays and find out more aout the shuttle service provided from the airport (charges may apply). 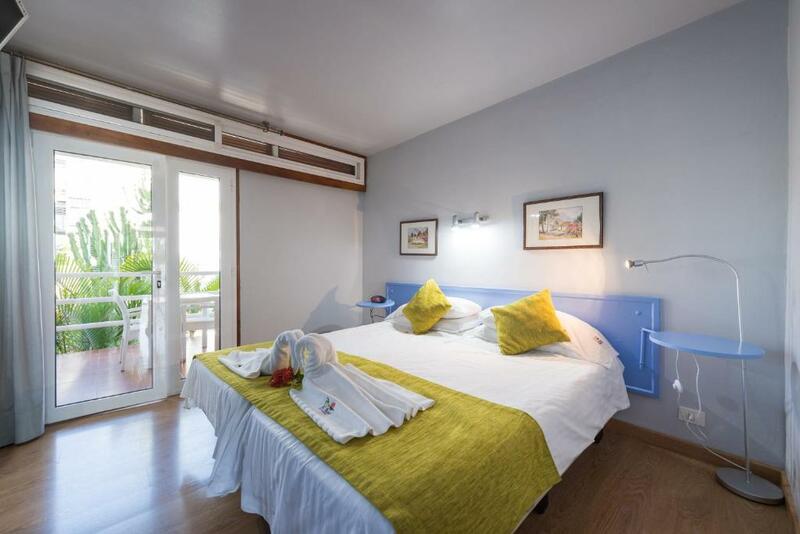 This is our guests' favorite part of Playa del Ingles, according to independent reviews. 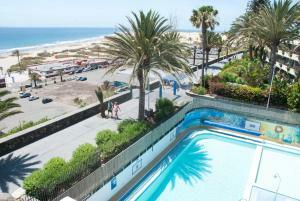 This property also has one of the top-rated locations in Playa del Ingles! Guests are happier about it compared to other properties in the area. 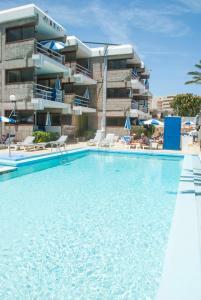 This property is also rated for the best value in Playa del Ingles! Guests are getting more for their money when compared to other properties in this city. 뀐 Located in the top-rated area in Playa del Ingles, this property has an excellent location score of 9.8! When would you like to stay at Apartamentos El Paseo? Located on the first floor this apartment features 2 furnished balconies, one with view to the Atlantic and the Maspalomas Dunes. It has a twin bedroom, living room, area with a single sofa bed, Smart TV with satellite channels and a fully-equipped kitchen including an oven, coffee machine and electric kettle. Microwave is available upon request. A Safety box is featured for an extra charge. Located on ground floor, this apartment features pool-garden view and 2 furnished terraces. It has a twin bedroom, living room; area with a single sofa bed, Smart TV with satellite channels and a fully-equipped kitchen including an oven, coffee machine and electric kettle. Microwave is available upon request. A Safety box is featured for an extra charge. 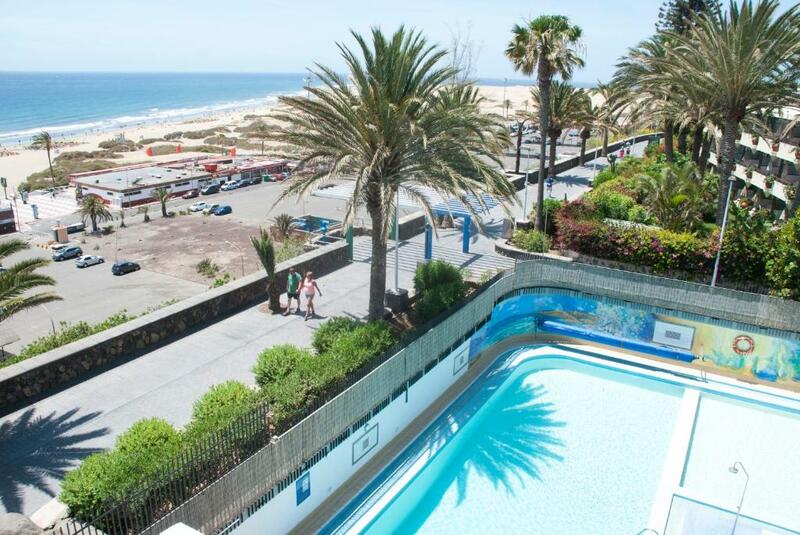 Located on the second floor, this apartment features 2 balconies with views of the Atlantic and the Maspalomas Dunes. The apartment has a twin bedroom, living room, SMART TV, and TV with TDT and satellite channels. Complete with an oven, the fully equipped kitchen includes an electric coffee maker and kettle. A microwave is available upon request. 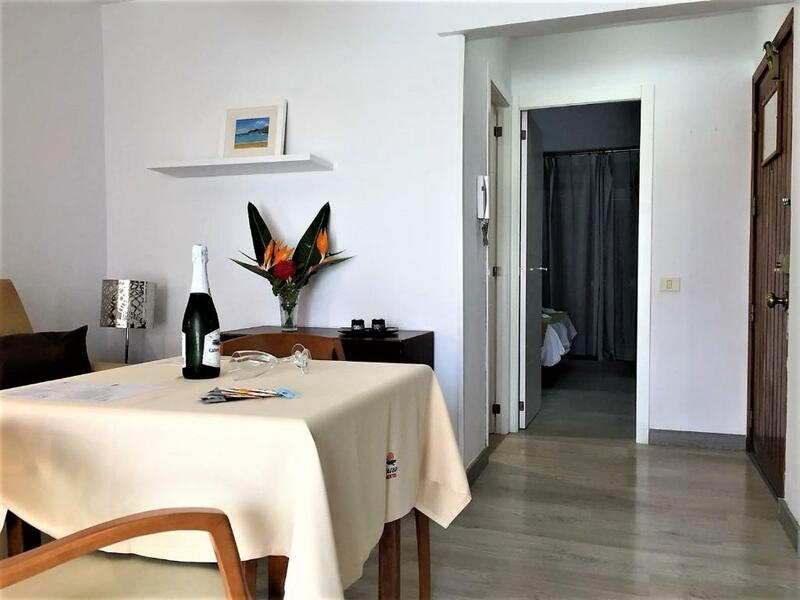 Located on first floor with views of the sea and dunes, this apartment has 1 twin bedroom, a living room area with a sofa bed, and a fully-equipped kitchen. 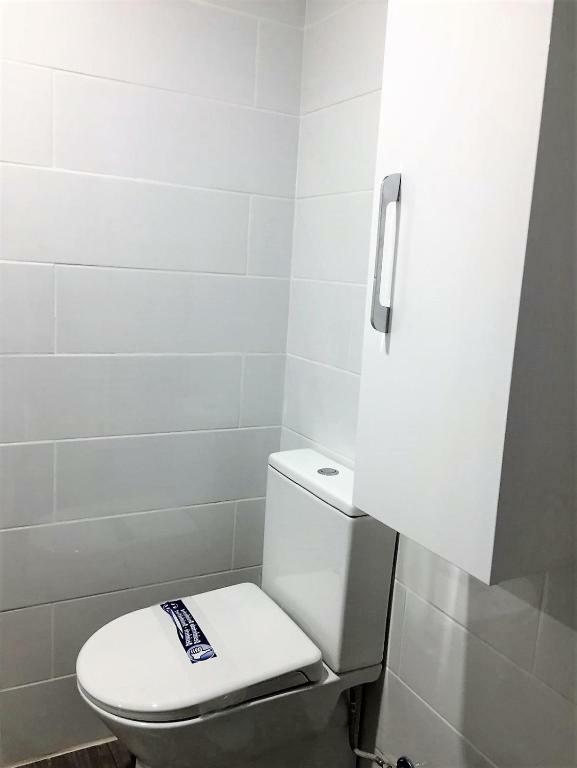 There is 1 bathroom with a bath and shower and 2 furnished terraces. Free WiFi is available, and a safe can used for an additional charge. Located on ground floor this apartment features pool-garden view and 2 furnished terraces.. It has a twin bedroom, a living room with an extra window, a single sofa bed and a Smart TV with satellite channels. The fully-equipped kitchen includes an oven, coffee machine and electric kettle. A microwave is available upon request. A Safety box is featured for an extra charge. 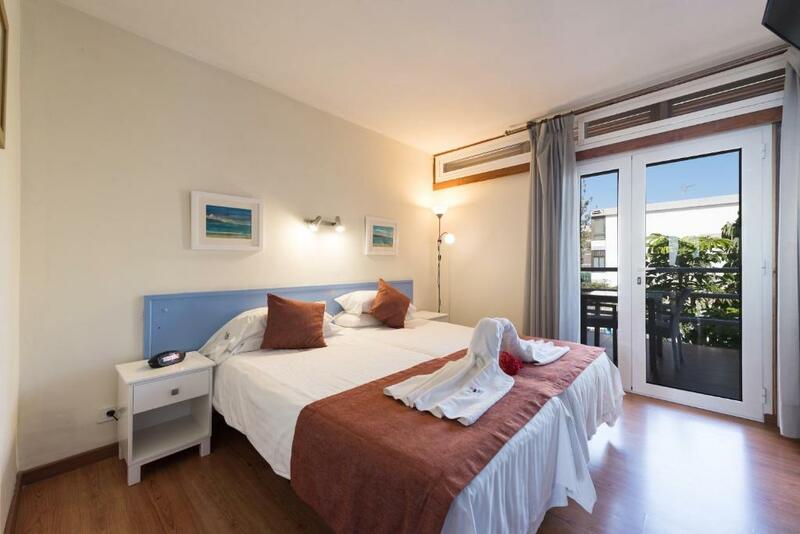 Located on the second floor this apartment features 2 furnished balconies, one with views of the Atlantic and Maspalomas Dunes. It has a twin bedroom, a living room with an extra window, a single sofa bed and a Smart TV with satellite channels. The fully-equipped kitchen includes an oven, coffee machine and electric kettle. A microwave is available upon request. A Safety box is featured for an extra charge. El Paseo has a unique history. It was founded 50 years ago by a Canary man who discovered the beauty of Playa del Ingles alongside North Europeans who were further starting to settle in this beautiful part of the island. El Paseo also has a unique present. It is still run by the family and a team of experts and dedicated people that are also now part of the family (we will introduce you soon!). The spirit at El Paseo has always been the same: giving our guests (new family members) the best possible holiday experience. At El Paseo we enjoy meeting our guests and working together to make special experiences and support everyone to achieve what they wish in their holiday and life. El Paseo allows us to enjoy a great sunny weather, a peaceful atmosphere and great views to appreciate life every minute! Some of us enjoy going for wine farm tours, surfing lessons, Spanish lessons, play golf, tapas cooking class, hiking in the volcanoes and exploring hidden beaches around the north of the island. Our neighborhood is our favorite in Gran Canaria and one of the coolest in Spain! Playa del Ingles is a long magnificent golden sand beach home to some of the world’s most impressive sand dunes (Dunas de Maspalomas). We are on the front line of the beach avenue overlooking the beach and the dunes! Guests enjoy our bread delivery in the morning and having breakfast their apartment’s private terrace or go down to the beach and have some fresh juices made for them and have a walk in the beach. There are delicious restaurants in the beach avenue and a famous seafood restaurant called Rias Bajas walking distance. Submarine trecks and water sports can be hailed close by. For those that like to dance, there is a Pacha Club (top world disco) and many other lounges walking distance in Centro Comercial Kasbah. A short drive (taxi/car rental or bus away) you can enjoy more beaches, the beautiful Puerto Mogan, the relaxing Maroa music lounge and beach at Anfi del Mar or venture the island for wine farms, volcano hikes and many secret beaches. House Rules Apartamentos El Paseo takes special requests – add in the next step! Apartamentos El Paseo accepts these cards and reserves the right to temporarily hold an amount prior to arrival. Please inform Apartamentos El Paseo of your expected arrival time in advance. You can use the Special Requests box when booking, or contact the property directly using the contact details in your confirmation. Perfect location, beautiful cosy atmosphere, great hospitality! The welcome was great. Being a smaller property meant the public areas were quieter and people had a chat, even with the different language barriers. Excellent pool kept clean by Miguel. Bread rolls were left fresh at the door every morning. The apartment had everything you need and plenty of extra touchs. For those eating in extra pots and pans at your disposal. Normal conversation in the complex carried everywhere, so a bit noisy during the day. Wifi on the patio was pretty good but weak and undependable inside. I could pick it up half the time from the window next to the patio, but not from the living room couch nor from the bedroom. Disappointing as I had work to do.